The most common scenario today following diagnosis of DCIS is for the oncologist to recommend lumpectomy, followed by radiation and hormone suppressive therapies such as Arimidex and Tamoxifen. The problem here is that women are not being educated about the nature of DCIS or the concept of "non-progressive" breast cancers. There is still the black and white perception out there that you either have cancer, or do not have cancer. In a poll on DCIS awareness published in 2000, 94% of women studied doubted even the possibility of non-progressive breast cancers.2 In other words, these women had no understanding of the nature of DCIS. And why would they? Major authorities frame DCIS as "pre-cancerous," implying its inevitable transformation into cancer. When the standard of care for DCIS is to suggest the same types of treatment used to treat invasive cancer, very few women are provided with the information needed to make an informed decision. Early detection through x-ray mammography has been the clarion call of Breast Cancer Awareness campaigns for a quarter of a century now. However, very little progress has been made in making the public aware about the crucial differences between non-malignant lesions/tumors and invasive or non-invasive cancers detected through this technology. When all forms of breast pathology are looked at in the aggregate, irrespective of their relative risk for harm, disease of the breast takes on the appearance of a monolithic entity that you either have, or don't have; they call it breast cancer. What women fail to understand—because their physicians do not know better or have not taken care to explain to them—is that they have a choice when diagnosed with DCIS. Rather than succumb to aggressive treatment with surgery, radiation and chemo-drugs, women can choose watchful waiting. Better yet, a radical lifestyle change can be focused on eliminating exposure to chemicals and radiation, as well as improved exercise and nutrition. This choice is not being made in most cases because the medical community is not informing their patients that there is such. Ductal Carcinoma In Situ (DCIS): Cancer or Benign Lesion? 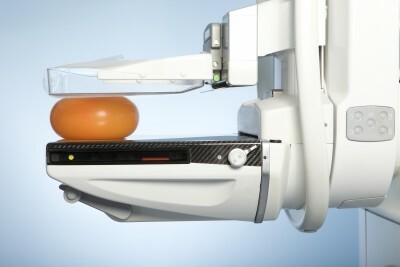 Between 30-50% of new breast cancer diagnoses obtained through x-ray mammography screenings are classified as Ductal Carcinoma In Situ (DCIS).3 DCIS refers to the abnormal growth of cells within the milk ducts of the breast forming a calcified lesion commonly between 1-1.5 cm in diameter, and is considered non-invasive or "stage zero breast cancer," with some experts arguing for its complete re-classification as a non-cancerous condition. Proponents of breast screenings claim they are saving lives through the early detection and treatment of DCIS, regarding it as a potentially life-threatening condition, indistinct from invasive cancers. They view DCIS a priori as "pre-cancerous" and argue that, because it could cause harm if left untreated it should be treated in the same aggressive manner as invasive cancer. The problem with this approach is that while the rate at which DCIS progresses to invasive cancer is still largely unknown, the weight of evidence indicates that it is significantly less than 50%—perhaps as low as 2-4%. The true irony here is that while participation in x-ray mammography is considered by the public a form of breast cancer prevention and "watchful waiting," it has become—whether by design or accident—a very effective way of manufacturing breast cancer diagnoses and justifying unnecessary treatment. This is not unlike what has been seen with prostate cancer screenings that track Prostate Specific Antigen (PSA); the aggressive treatment of lesions/tumors identified through PSA markers may actually increase patient mortality relative to doing nothing at all. 3. The management of ductal carcinoma in situ of the breast. Endocrine-Related Cancer. 2011 8 33-45. 5 The Dark Side of Breast Cancer Awareness Month GreenMedInfo.com. 2011 Oct 1.